I really like the video pop out feature for Youtube, can we get the same thing for Twitch? 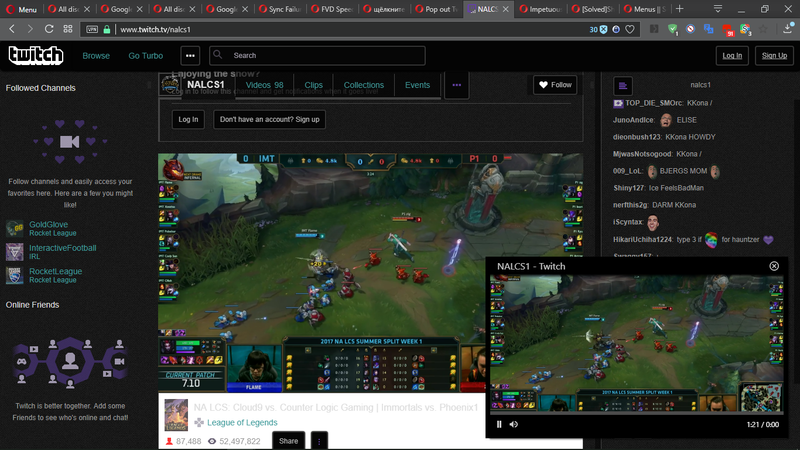 I love to watch streams while I'm browsing the net... Or is it limited to HTML5 video and doesn't work with Flash (which's what Twitch is using)? Or is it limited to HTML5 video and doesn't work with Flash (which's what Twitch is using)? So, we just have to wait for Twitch to adopt HTML5 first. 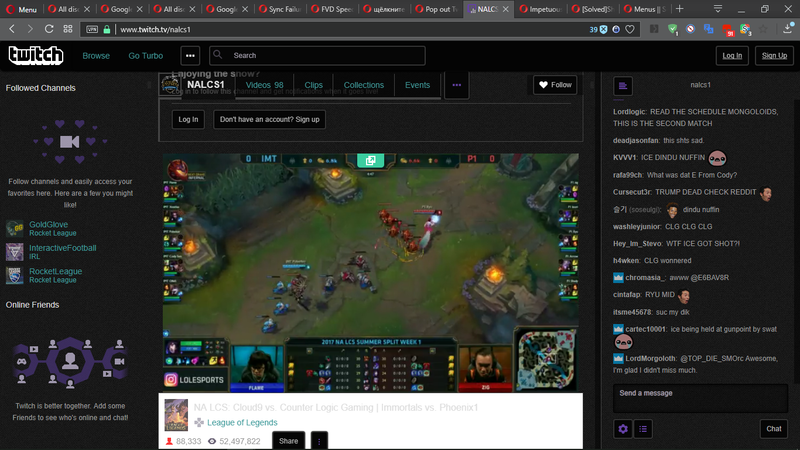 Ok.
Twitch adopted html5, video popout still not working. Opera 44 and still does not work. Is there any chance of fixing this? It was very useful functionality. Agreed! I'm running Opera 45 and it's not working with Twitch's HTML5 video player. Super useful feature! Would love to see it work with Twitch! It works here, but the button appears just when the video starts and when you back from full screen (sometimes), tested in some videos.